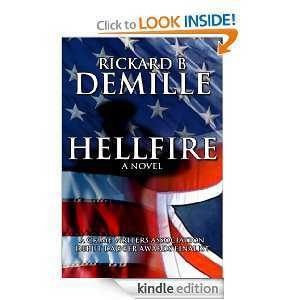 Hellfire was an amazing masterpiece novel that is a truly enjoyable, captivating read. However, the major problem I encountered with this novel is that I could not put the book down and didn't get any work done for the day until I finished reading the book. Let me give you a peek into the storyline of the novel. US Marine Travis Deacon always loves catching some R&R. And he loves being in Wales to catch it, until his best friend, SAS Major Gareth Jones, dies in an "auto accident." When Travis asks too many questions about Gareth's death, MI5 steps in and tries to send him back to Afghanistan. Then, the international terrorist who killed his friend, tries to send Travis to hell. By the way, this book is an International Debut Dagger Award Finalist, and an Amazon Kindle and International Best Seller.